Let's Be Frank Media Preview was Juicy! 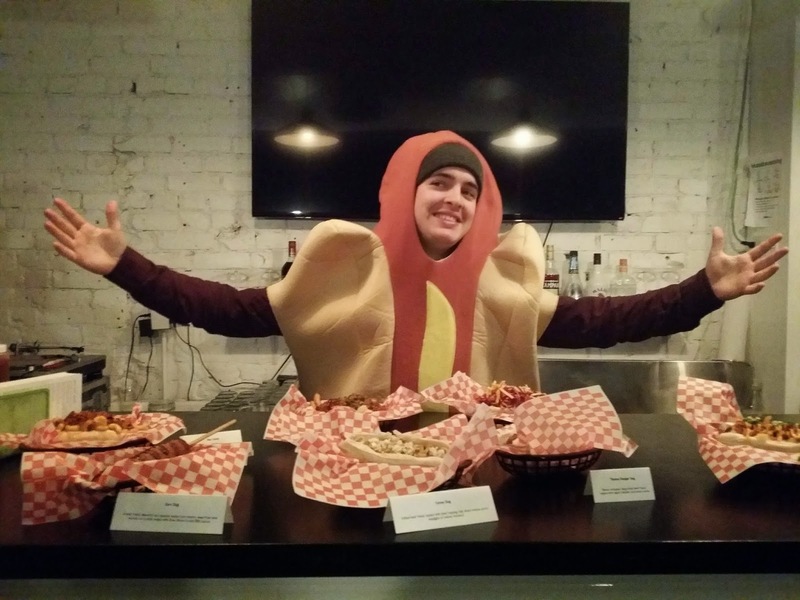 I recently was invited to the Media Preview of a new hot dog bar called Let's Be Frank. 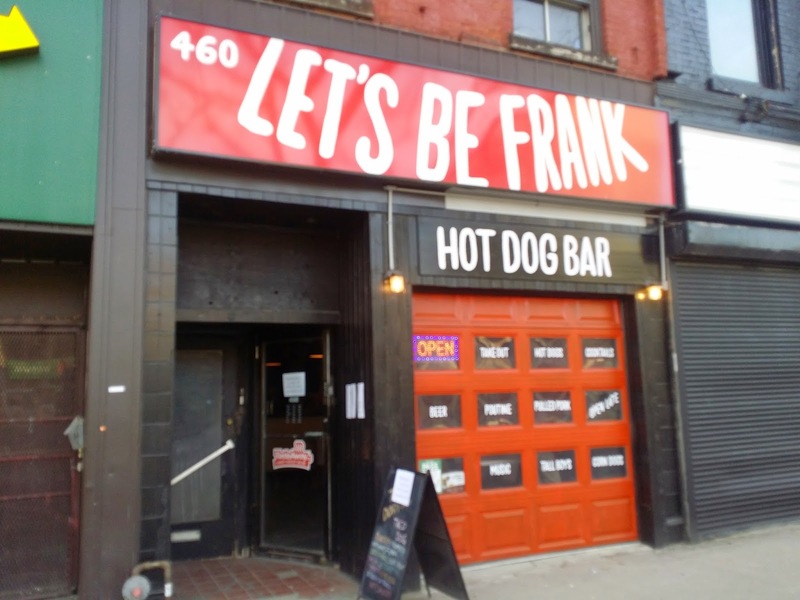 Let's Be Frank is located in an interesting area located just north of Chinatown in Toronto at 460 Spadina Ave. It's a cool little spot located among some late night Chinese food joints and quick service chains such as Popeye's Chicken, Burger King and a 7-Elleven. 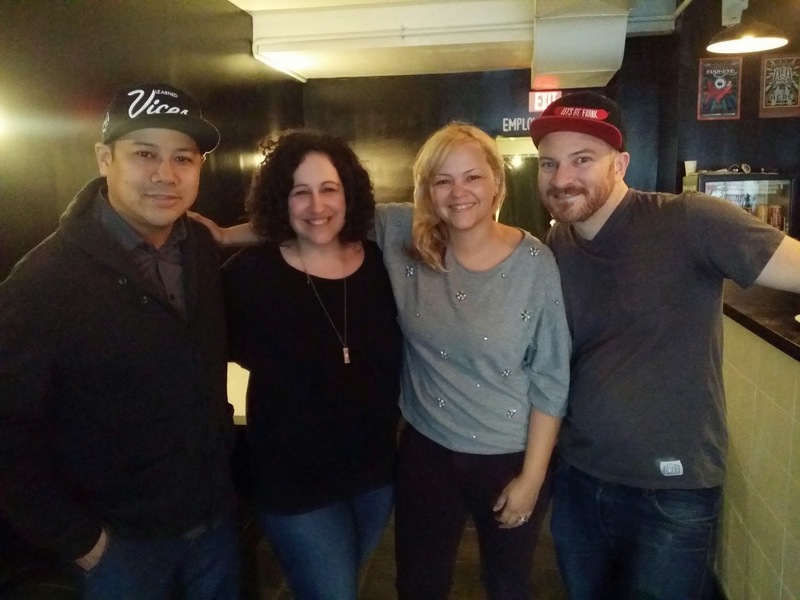 It's also located next door to the infamous El Mocambo Tavern - Toronto's legendary music venue and adjacent to Kensington Market & U of T.
I had the pleasure to meet the owners of Let's Be Frank and I was curious to hear how they started in the food/bar business. 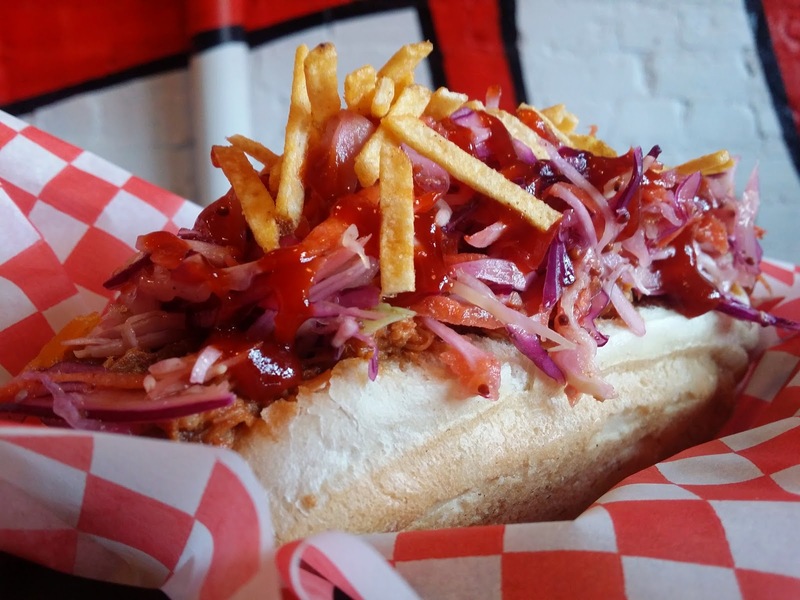 The it's no secret that their complimentary skillsets from marketing, business and the general love of food and drinks would find them with a product that can't help but redefine gourmet street meat. It all started off with a food stand, progressed to a Food Truck and Pop-Up location, to the final hot dog bar they visualized since 2009. I was also curious to know what made them think they could succeed in this competitive restaurant/bar business. It all comes down to having that visual drive and an execution plan. 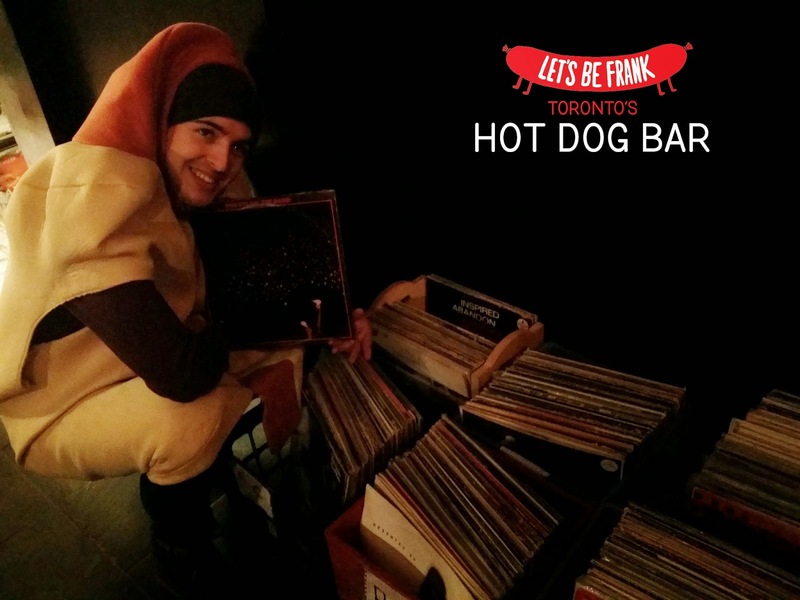 And if you look through many of Toronto's nooks and crannies, it won't be surprising to find some sort of food hub that you would consider a hidden gem...Let's be Frank could become one of them. Co-owner Simon responded by stating that their attention to their customers and being receptive to customer needs is key and important. The Full Menu of hot dogs use Nathan's famous beef franks. They're considered the best hot dogs weiners. Let's Be Frank offers hot dogs in 3 different sizes: 3.5" slider / 6" regular / 8" big dog. Pictured above is the 3.5" slider pulled pork po'boy. It had pulled pork, coleslaw & hickory sticks with BBQ sauce on top. Is your mouth watering yet?!? I did make the recommendation to have their slider versions....toasted with butter to give it that little boost of flavour from the bun. That's my recommendation & hope they incorporate that in future menu iterations. The owners mentioned that they wanted a place they can just go and have a quick bite coupled with a beer. Yes, beer!! 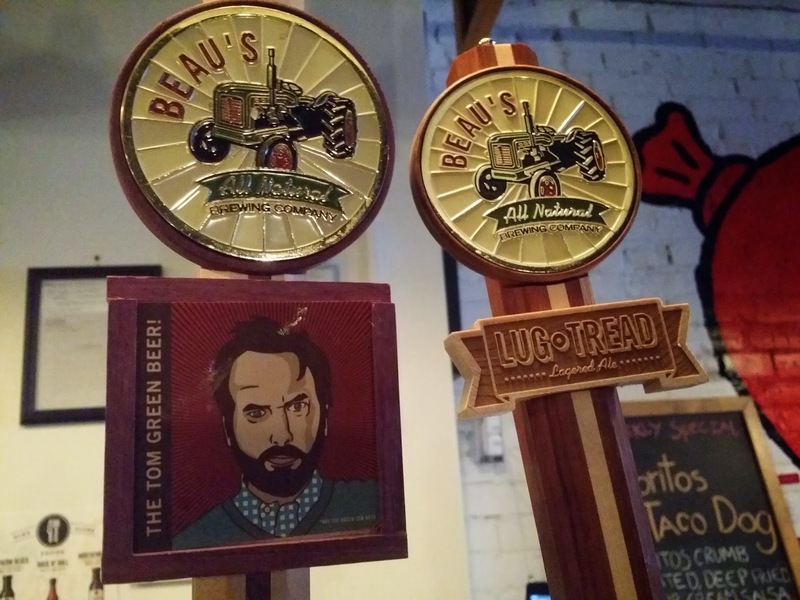 Emphasis on their beer selections is evident with a great selection from Stiegl to local Beau's Brewery. The owner did mention they have a secret drink mix menu so make sure to ask for that next time you visit. They might even have a secret hot dog menu ( wink! wink!). The staff & feel reminded me a little bit of the famous Crif Dogs in NYC. 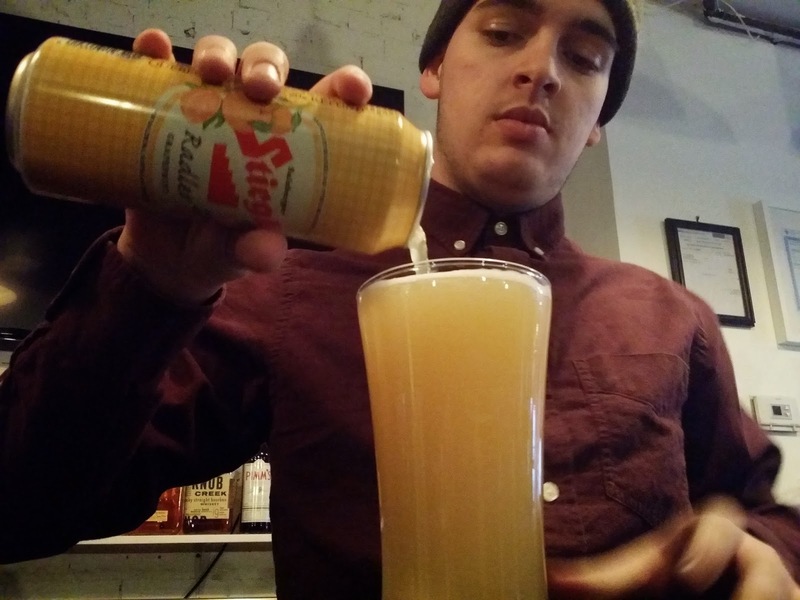 Bring your own records to play at the bar. Disclosure: I was invited to this event & given complimentary samples of the menu.